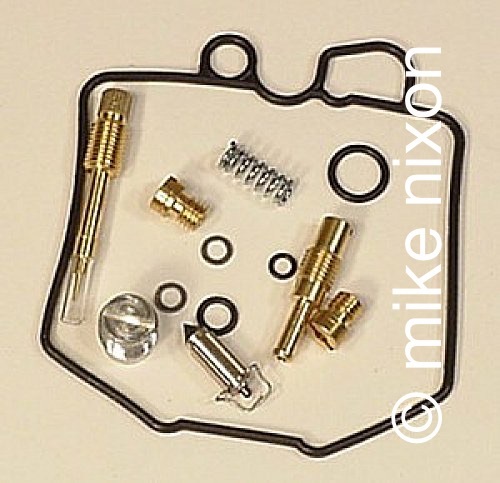 First of all, a lot of carburetor "rebuilders" use carb kits. What's wrong with carb kits? Oh, my! Well, let's start here, with the float valves. 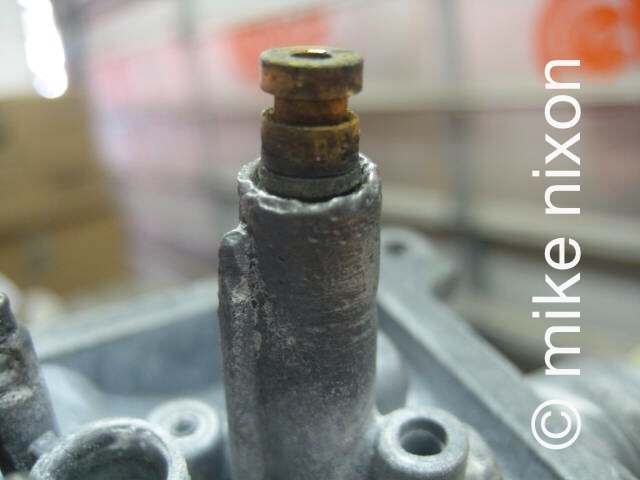 What you are lookimg at are badly corroded float valves from a carb kit. I have written elsewhere about these parts. Here's one of them close up. 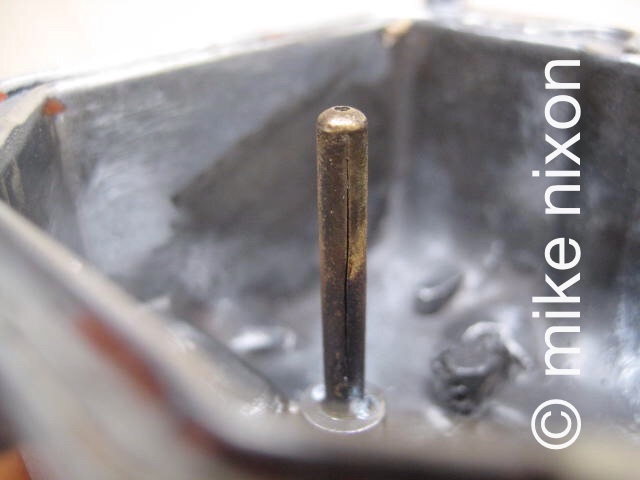 Is this what you want in your carburetors? Think that one was a fluke? Nope. 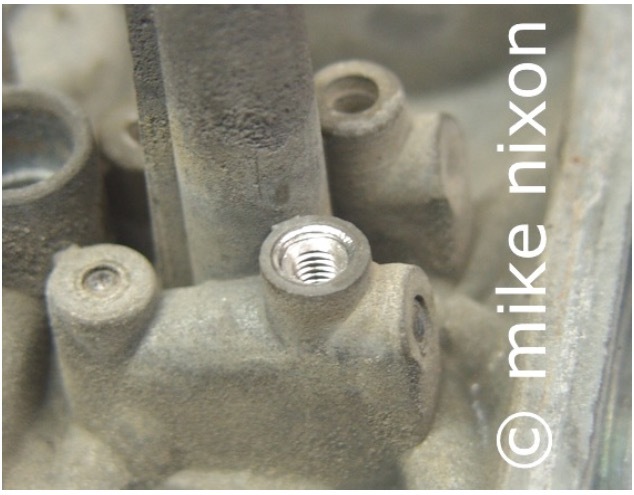 I have scores of major fail pictures of these crap valves spanning some ten years. Now let's look at a kit jet. See the marking, 65? Guess what? The jet is actually much larger. 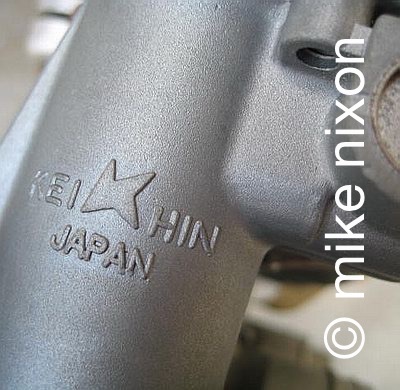 And, a real giggle, this is a Keihin style jet (came in a kit for a Honda street bike) its Chinese maker (copier) marked with a Mikuni mark! Do you want to be at the mercy of a carb rebuilder who uses this junk? How many of them do you think even double-check the sizes of jets? 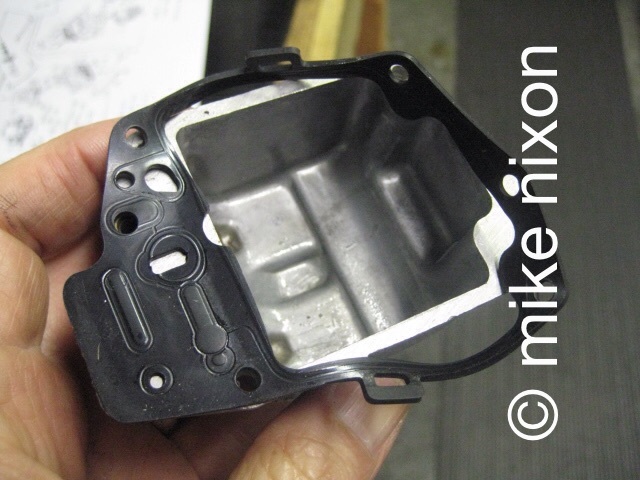 And here is a gasket from a carburetor rebuild kit. Once it has a little fuel on it it's all over the place. Flippy, floppy. Very typical, gummy bear quality rubber. The kit o-rings are the same way, just the absolute cheapest made they can possibly be. Spongy, glorified rubber bands. Okay, let's leave carb kits and look at technique. 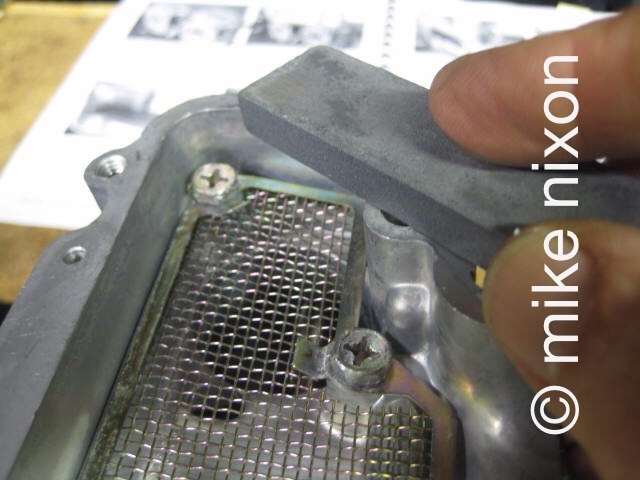 What you will get with many carburetor rebuilders is NOT ultrasonic cleaning, and even if you do, it won't be with an industrial strength unit capable of vigorously scouring the carb castings, as in this picture. Nice, huh? You think a $200 Harbor Freight unit is going to do this kind of job? Uh uh. 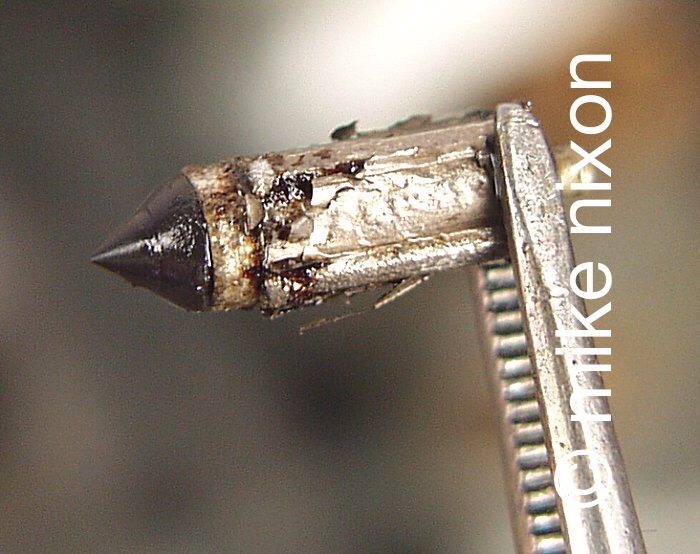 Instead of ultrasonic, they'll use harsh chemicals or abrasives that attack not only the carb bodies but also the many bolted on or threaded parts. Nasty! This is an uber classic CB400F carb that had been "rebuilt" by one of the other guys. Some of these other guys actually use a wire wheel on the carb bodies! 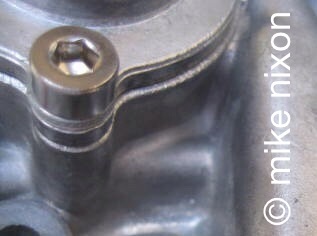 Entirely aside from what that might do to the carb's circuits, and the fact that burnishing the outside has nothing to do with correcting internal passages, look at the ridiculous finish it leaves on the part. Like something out of Captain America! 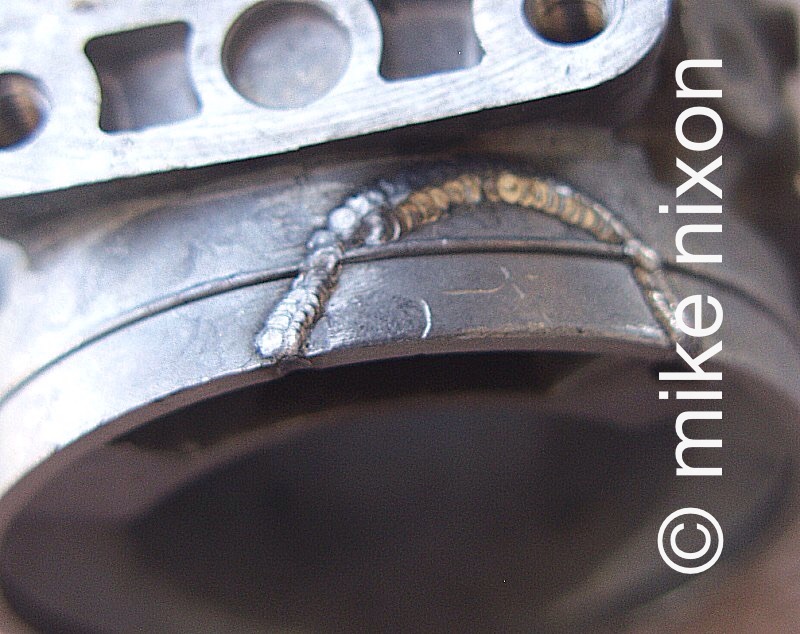 Some rebuilders even abrasive blast the carbs! And conversations with a few of them have shown they regard this technique as CLEANING! Incredible! 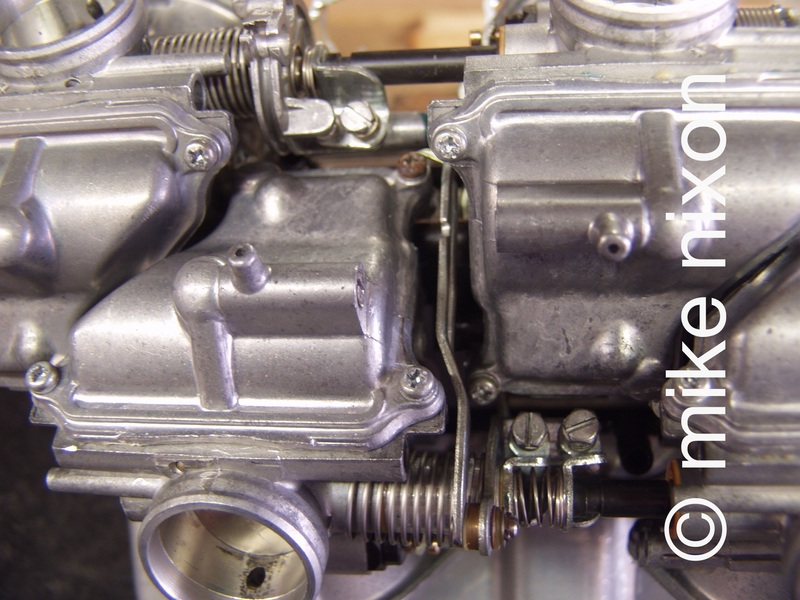 Do you really want your carbs to look like a 1939 Moto Guzzi transmission case? As ugly as you can imagine, amd more. Nothing like the original finish, and guess what, you can't go back. 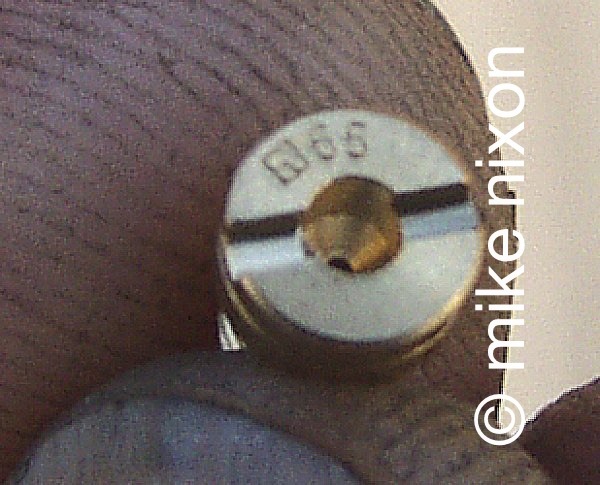 A good many rebuilders use Allen screws on their rebuilds. That really isn't a good thing. You should have the option. 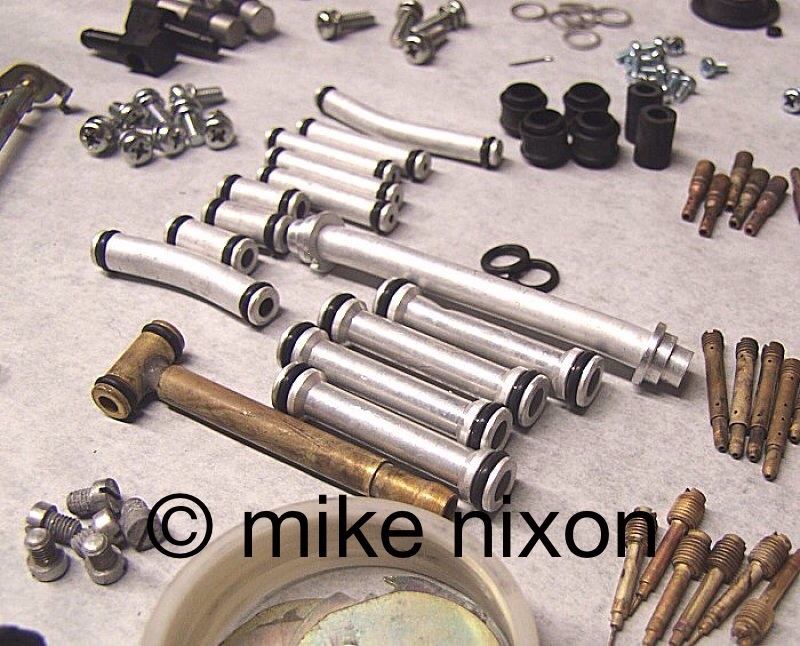 And even if you opt for Allens, never use the coomonly available carburetor Allen screw kits, because they invariably contain stainless steel screws, which are notorious for seizing in cast aluminum. 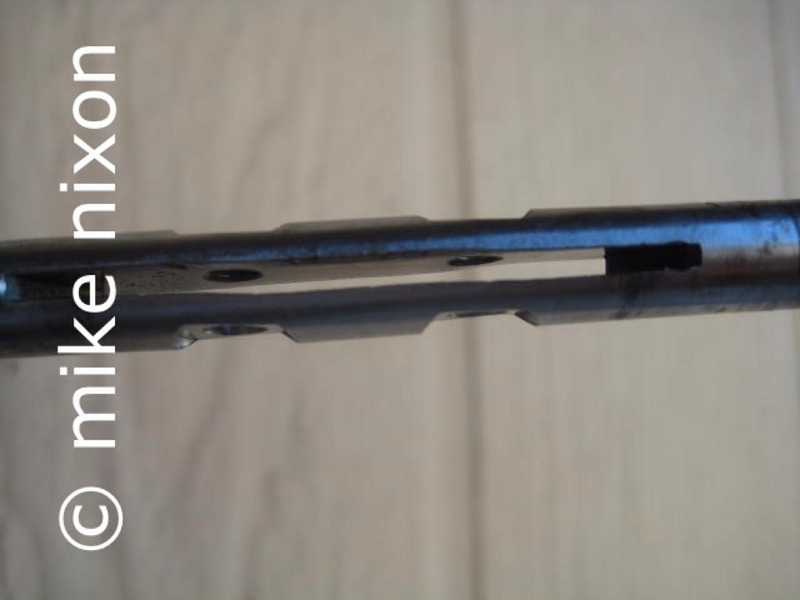 Moreover, Allen type screws are way too easy to overtighten. 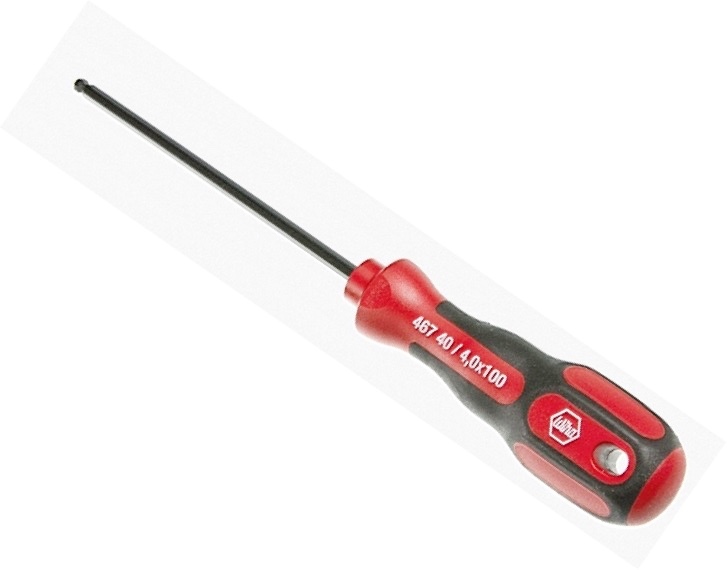 To avoid that, I use only the correct screwdriver-style driver, and I discourage Allen screw use, though I do use them on request. This is a carb set I got in that another rebuilder had recently done. Even using an L wrench the screws didn't want to budge! Turning the wrench, bang! Then they came loose. WAY too tight! Is that any way to treat your carburetors? 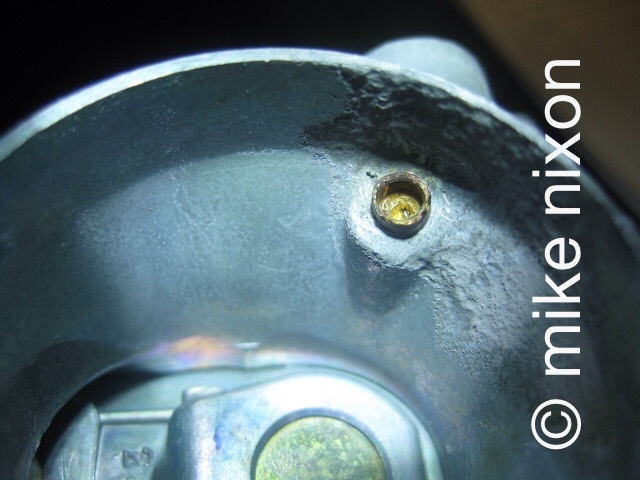 I actually got in a set whose previous "rebuilder" hadn't lubricated any of the carb body o-rings! Do your really want someone who doesn't know even basic mechanics to do your carburetor rebuild? 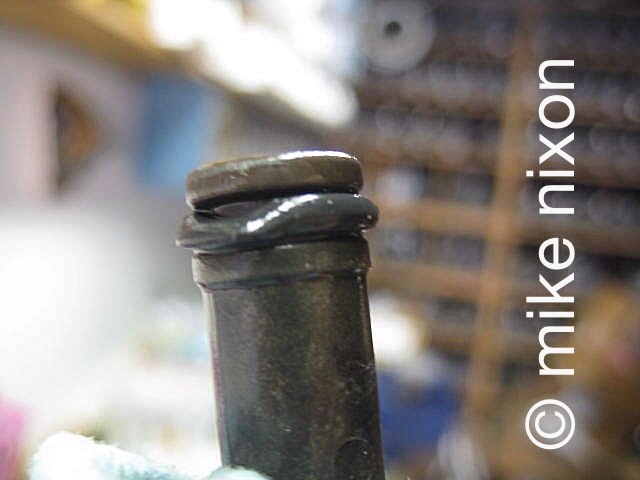 In this example, the lack of lube and rough handling resulted in an expensive to replace passage pipe suffering breakage. Shouldn't oughta be, that. Same problem here, very heavy handed mechanics. 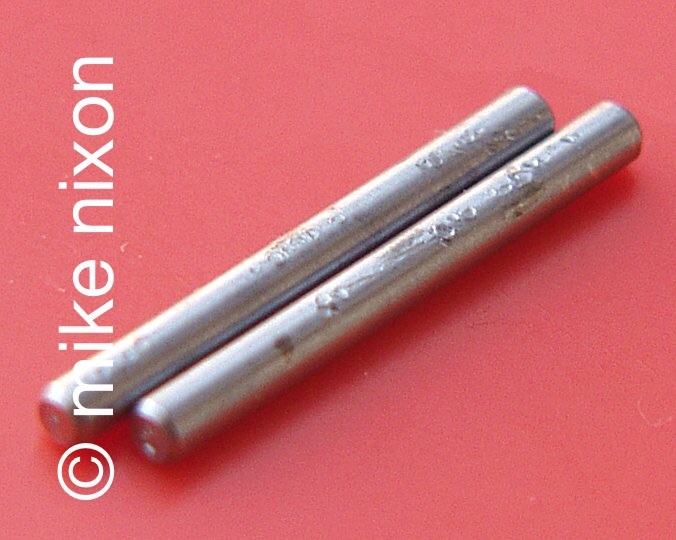 These are float pivot pins. 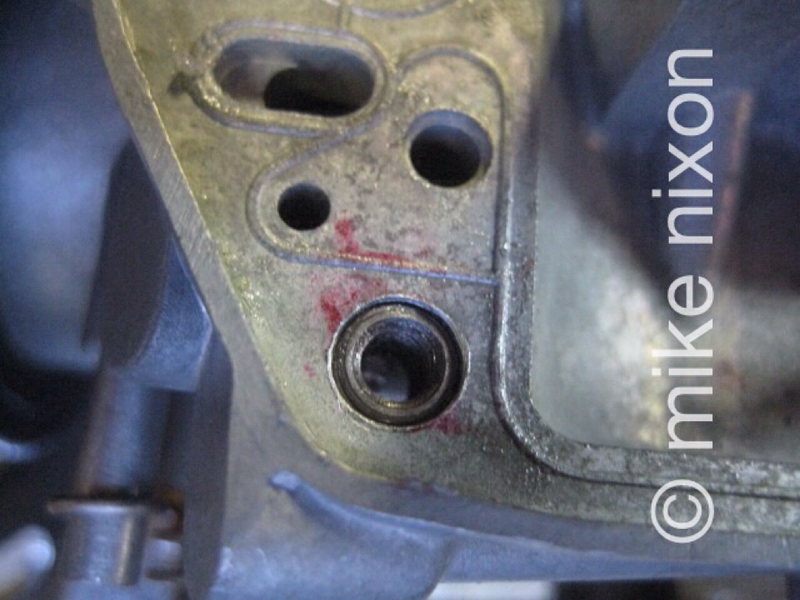 These pliers marks are one of the biggest reasons float pivot stantions break. 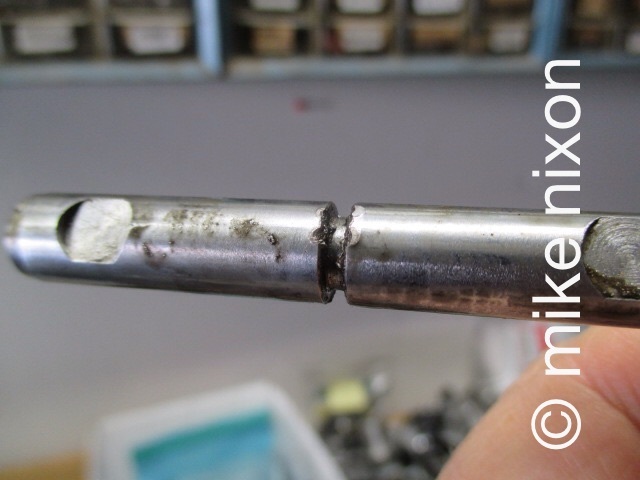 And how about this CB750 SOHC throttle shaft that someone tried to remove by pounding on it without first removing its locating pin? I see this often. Do most rebuilders know how to take this shaft out? Do many of them know how to repair this damage? No, not many. 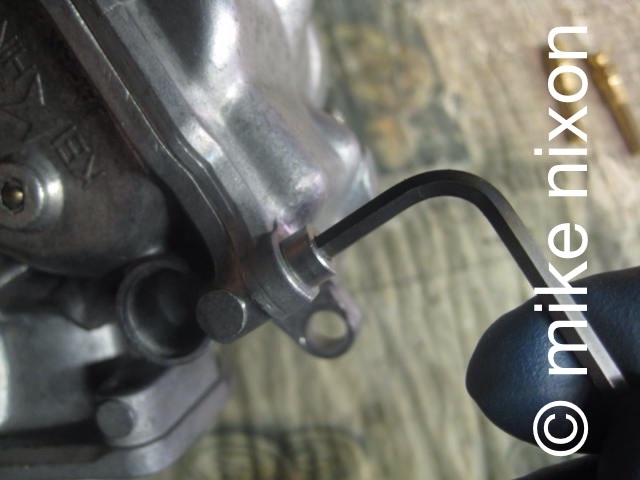 Here's another throttle shaft, this one from a GL1000. See what is wrong with it? It's twisted. Badly. This was inflicted on the part by some "mechanic." Do the other guys know how to, first, avoid this, and second, properly repair it? 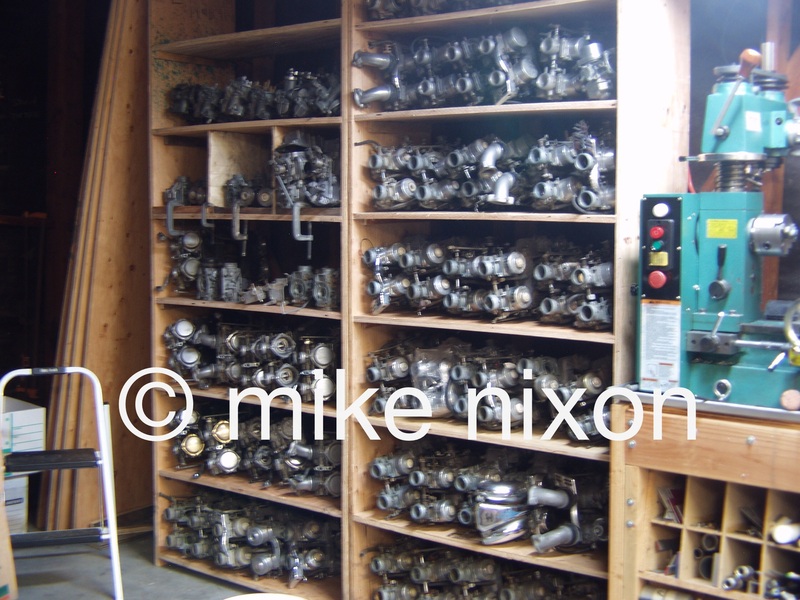 Speaking of repairs, I have talked to other rebuilders and it seems few consider repairing an important aspect of rebuilding carburetors. 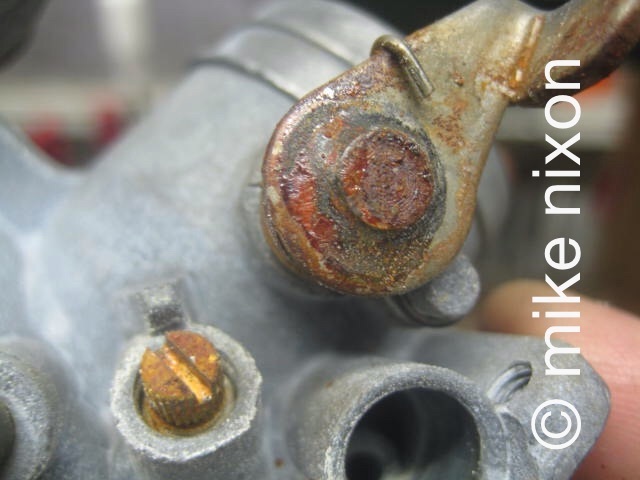 They are likely as not to return your carbs to you with problems you might not even know your carbs have, simply because the rebuilder is not equipped to handle the problem. This example is an easy one, one that most rebuilders know how to fix, a cracked overflow standpipe. But you need to know to LOOK for it first, then how to fix it. Very few do either. And how about this one? Do the other guys know what to do when faced with this issue? Will they do anything? Most of the other guys are challenged by thread issues. 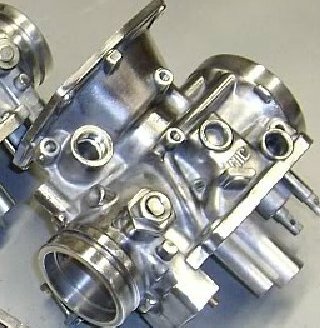 This is a GL1000 carb body with new threads. This model carb needs thread repair pretty often. This CB400F carb body needed a machined insert pressed in and drilled and threaded. Think most of the rebuilders out there with little or no mechanical training or background will be able to do this? Or how about this one? This main air bleed had to be removed, a new one recreated from scratch, and installed. This is not within the scope of most carb rebuilders, you can believe it. Think that most other rebuilders sync the carbs as part of a rebuild? Think again. 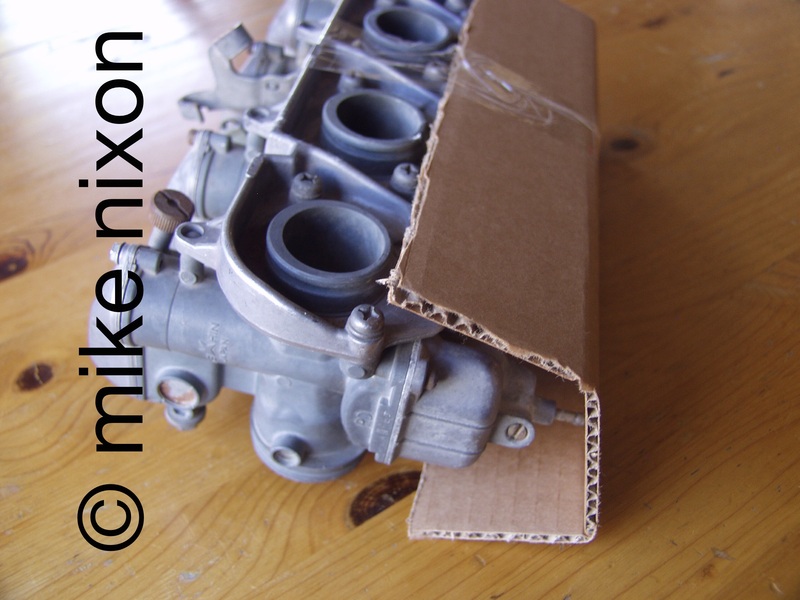 For one thing, many of them wouldn't know what to do with a Honda V4 carb set. 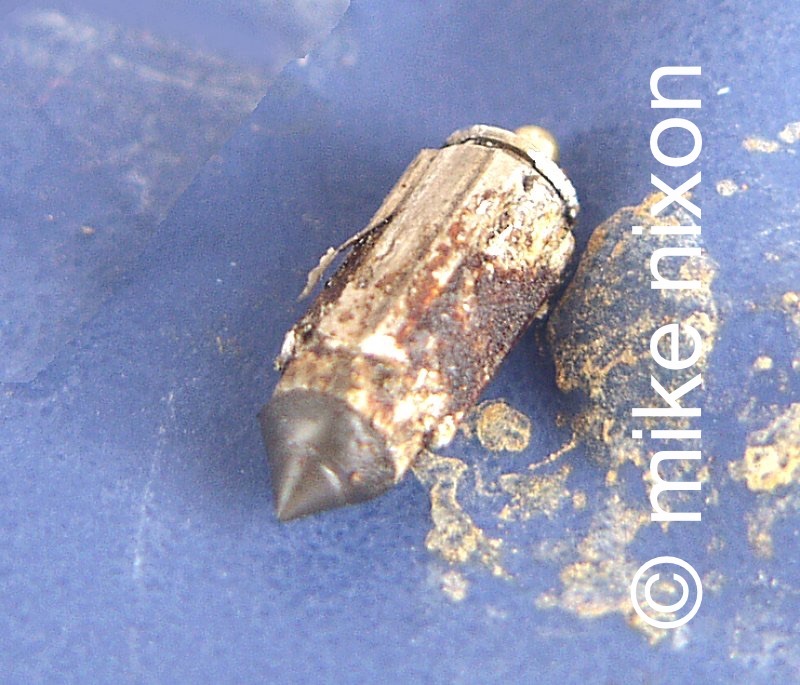 Very few people have a clue which screw does what, and Intenet forums are no help whatsoever. Is that the kind of rebuilder you want to trust your carbs to? 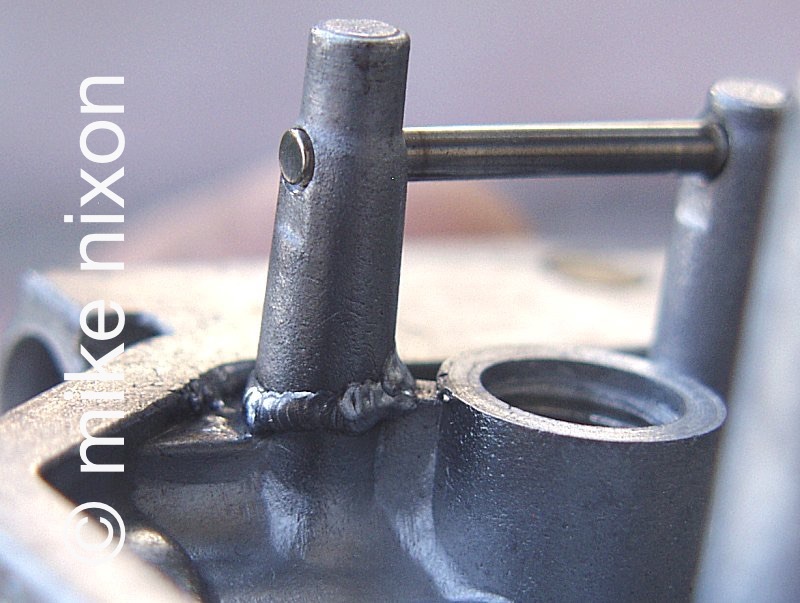 There are no special tools on the market for working on carbs that were never designed to be rebuildable. Nada. 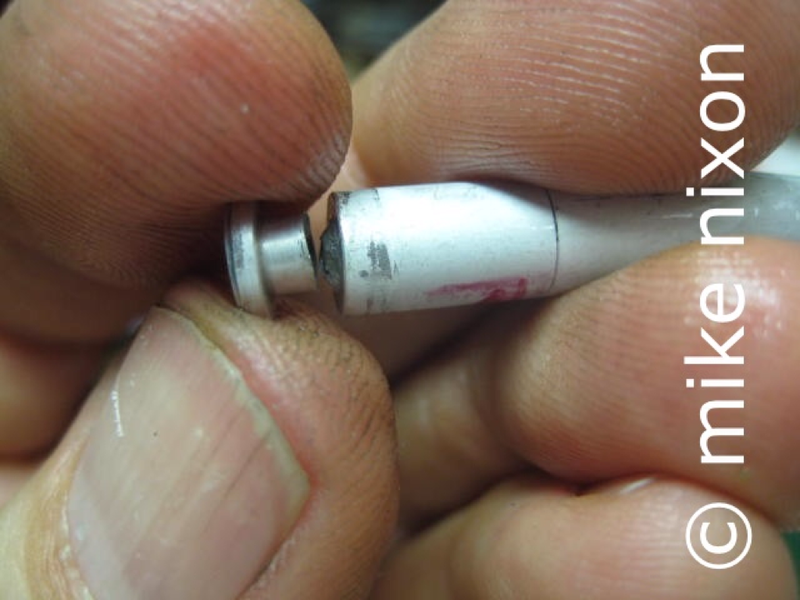 The pro rebuilder makes his own special tools. The other guys, think they're doing this? I know for a fact they're not. A rebuilder has to AT LEAST have a good assortment of taps. 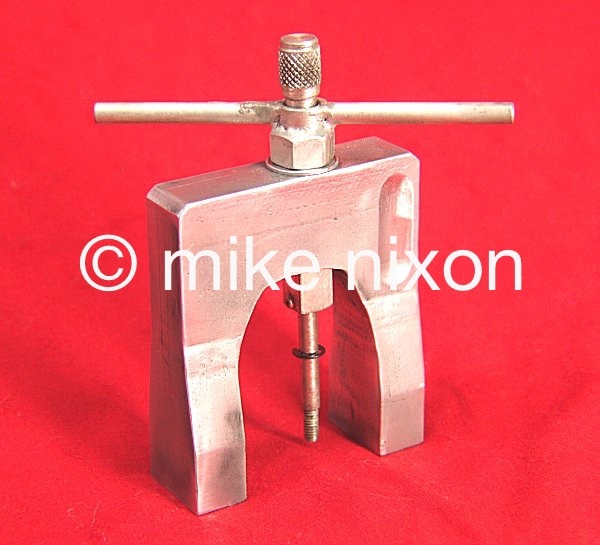 I talked to one a few years ago who didn't even know what a thread pitch gauge was! 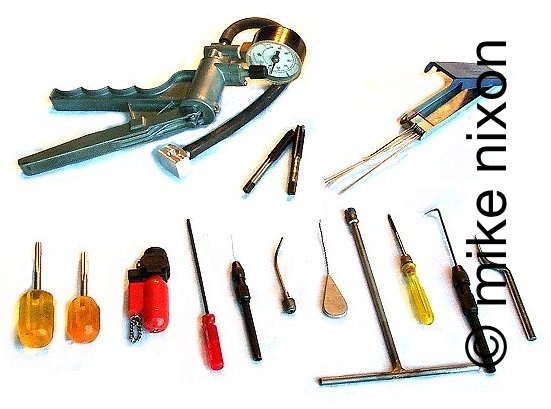 Just a sampling of the kinds of special tools required to do a good job. How about welding? How many of the other guys do this on a regular basis? This is a float pivot stantion, a very common trouble area. Another weld repair. And another. Here's a tricky one. Done this a few times too. 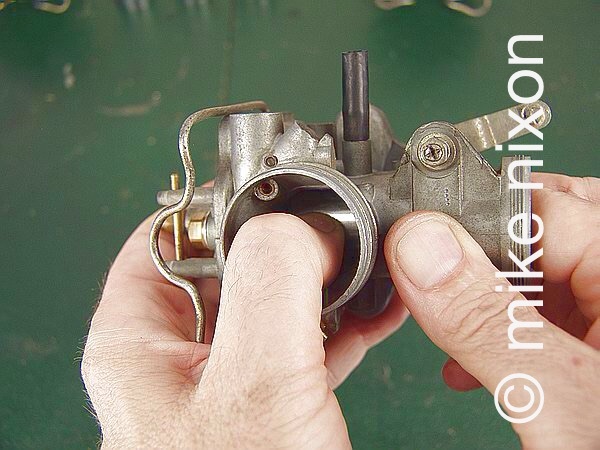 How meticulous in mating parts are the other carb rebuilders? Think they go to this kind of trouble? What do you think? 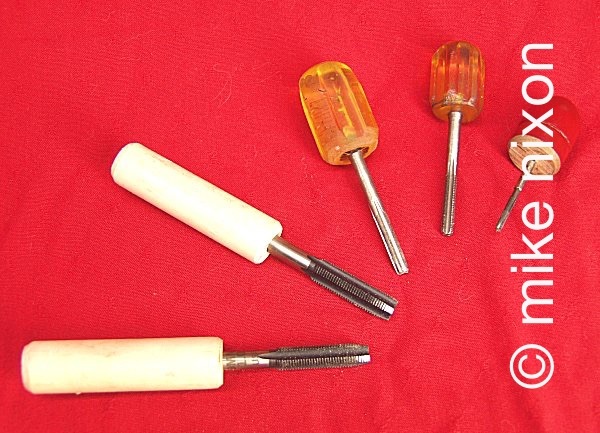 What about factory replacement parts? 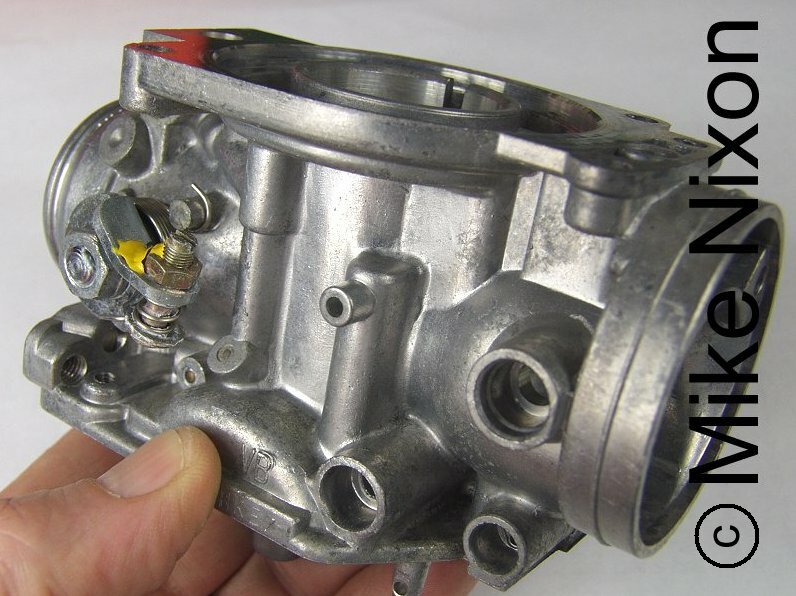 Did you know nothing on a 30 to 40 year old carburetor is available from the manufacturer? Where do even simple parts come from? From donor carbs, that's where! 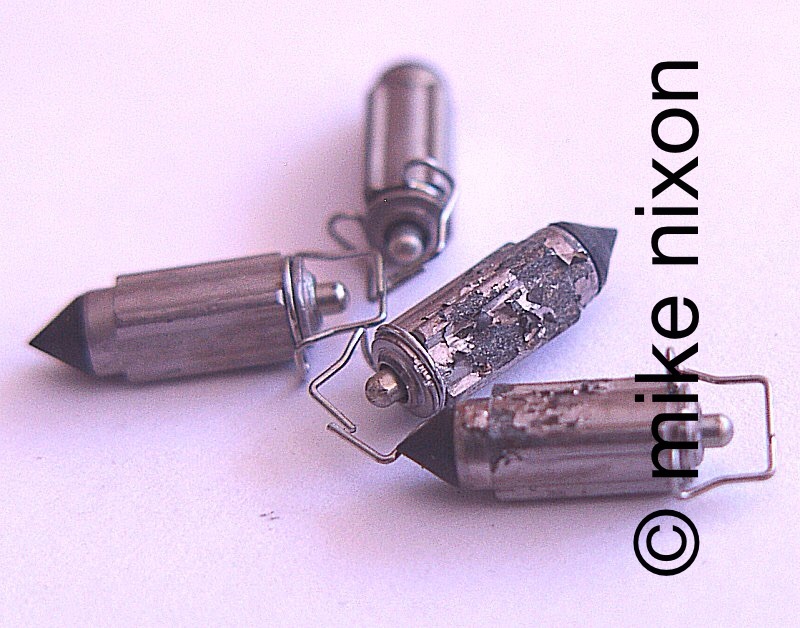 Think the other guys can lay their hands on these parts easily when needed during a particularly intense rebuild? Or do they just "make do"? Clean and organized for reassembly! How many carb rebuilders take this kind of care, take the time to do it right, and not rush through tying to do 30-50 carb sets in a month? Think maybe it makes a difference in the outcome? You know it does. 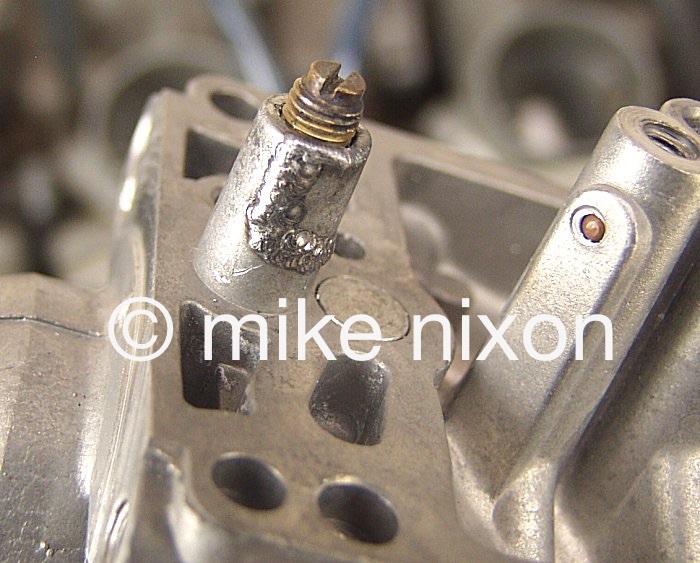 How many carb rebuilders know how to check and why, for carb body wear, especially on these old zinc based SOHC carbs? Not as many as you think. How many will take the time even if they do know? Packing and shipping is just as important as the rebuild, if you want to protect and preserve the carbs and the work that went into them. You can tell the amount of care by how something is shipped. In many ways it comes down to this -- is the rebuilder proud to put his name on his work? Well, is he? 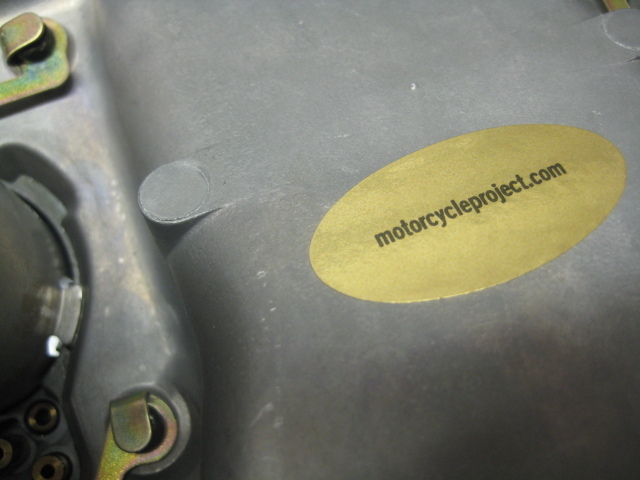 Look me up at www.motorcycleproject.com and go here for a much shorter three point summary of what makes The Motorcycle Project unique. And thank you for considering The Motorcycle Project!